A DANGEROUS PROPOSAL – BEWARE, SOUTH INDIA! The great German historian, Dr. Holm, says in his History of Greece:- "The only way to settle with the East is to vanquish her intellectually, and not even Greece was able to do this; Rome's whole character utterly unfitted her for it." These wise words must be engraved in imperishable characters on the hearts of every native of India. No physical conquests – no display of force or plunder of money – can extinguish the nations of the East. For Asiatic races, the love of the spirit is all in all. Their civilization is intellectual and spiritual, they "do not live by bread alone." So long as they retain their civilization, they must remain and multiply on earth. Their civilization must last so long as their own literature and languages remain, and their can be no national literature without a national language. Professor Bluntschli points out that "language is the most peculiar possession of a people, is the strongest bond which unites its members, and the chief means by which it reveals its character." So, the civilization and the very existence of a people depends on its preserving its own language, which is its "peculiar possession" and "bond of union." On the day that the vernacular languages have disappeared from Indian soil, the native races must have died out and given place to some other or others in the great continent which they have inherited from their ancestors. We have made these remarks because, the European editor of the Madras Educational Review has lately come forward to advocate the abolition of the Vernacular languages from the collegiate curricula of studies. He has the presumption to state his reasons in the following terms:- "That the educational value of the study of the vernaculars is on a par with the study of the classical languages we suppose no one will contend. That their retention serves any useful purpose whatsoever we believe it would be difficult to show," and so on. So he pleads "for the disappearance of the Vernacular from the Group of second languages recognized by the University." These pleas for the abolition of the Vernaculars are, by no means, unfamiliar to us in the South India. Long ago, General Macdonald, the late Director of Public instruction, proposed to abolish the study of the Vernaculars on similar grounds but there was sufficient good sense among the Indian fellows of the University to enable them to muster strong and defeat the proposal. More recently, the same measure has been advocated before the Universities' Commission by the present Director of Public instruction, and now the leading educational organ of South India is singing to the same tune. The proposal may come up any day, and it is well that the country should be prepared to resist it. 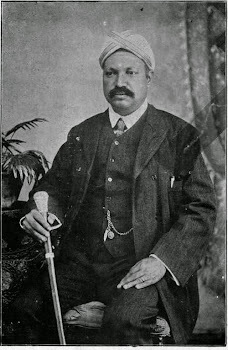 We feel confident that the Indian members of the Senate will like their predecessors of twenty five years back, muster strong and defeat the proposal whenever it is brought up, and that some at least of the European Fellows will support their cause and the cause of the very existence of the Native races and their civilization in the future. The Editor of the Educational Review himself says that "with the Senate constituted as it is at present, any proposal to abolish the Vernaculars would, we fear, be doomed to failure." Evidently, he hopes to have our Senate differently constituted very soon as the result of the inquiries of the Universities' Commission, and then to carry his proposal, as there will be a larger number of aggressively-inclined European Fellows. What may be the future fate of the languages and peoples of South India we cannot foresee, but the educated men today are the guardians of the present and must fearlessly do their duty to themselves and their country. Even Macaulay, the founder of the present system of English education, wrote as follows:- "We must at present do our best to form a class who may be interpreters between us and the millions we govern, a class of persons, Indian in blood and color, but English in taste, in opinions, in morals, and in intellect. To that class we may leave it to refine the Vernacular dialects of the country, to enrich those dialects with terms of science borrowed from the Western nomenclature, and to render them by degrees fit vehicles for conveying knowledge to the great mass of the population." Let our educated men – and, especially, all Indian Fellows of the University remember that the education of the masses and their regeneration, political, social, industrial, cannot be achieved without the cultivation of the Vernaculars and the use of them as media for the communication of knowledge. How can our graduates and other educated men cultivate their own literatures if they are to be forbidden to learn the Vernacular languages while they are at College? The late Madras Governor, Sir M. E. Grant-Duff asked our graduates, "Are you satisfied with what you are doing for your own literature?" What an amount of sneer there is implied in the expression – "your own literature" sneer directed at those who, in season and out of season, are promoting the use of the English language for writing and speaking purposes! We need not now concern ourselves with that, as we have certain purposes to serve by the use of the English language. To these purposes, Professor Bluntschli, the German Philosopher, refers when he writes as follows:- "where the lite of the state is concerned, the interest of the nation, as a whole, may require unity of language". We must use the English language only for all collective and national purposes, where men speaking different vernaculars require a common platform. But all popular culture must be carried out on by the use of the Vernaculars, and therefore they must be studied and cultivated more and more by educated men in India. It is in this light that we must appreciate the significance of the advice given to educated men by the late Sir T. Muthuswamy Aiyer, "See that you gain a step in advance every year in the development and enrichment of the vernacular literature." To abolish the study of the Vernaculars in the College and school is certainly not the way to advance their development and enrichment year by year. We wish to deal briefly with two points mentioned by the Editor of the Educational Review before I close this discussion. First, he says that the Vernaculars are inferior to what he calls the classical languages in educational value. We deny this altogether. We know that we cannot convince the Editor of this journal and men of his stamp by arguments of our own, for he thinks that the enthusiasm of educated men for the Vernacular languages springs "partly from misguided Patriotism." We will simply quote the unimpeachable authority of the late Bishop Caldwell of Tinnevelley, who speaks of "the wonderful perfections several of those languages (i.e., the South Indian vernaculars) have reached as organs of thought." Let us hope this will render aggressively-minded men like the Editor of the Educational Review less self-assertive. Similar testimonies may be quoted in any number that may be required. Secondly, the Editor of the Educational Review holds that "the practical futility of seeking to strengthen the command of modern colloquial Tamil or Canarese by the study of ancient Tamil or Canarese poetry must be apparent to the most enthusiastic Dravidian." Do Englishmen realize a similar "futility" in regard to their own language and literature? Why do Englishmen read the poetry of Chaucer, Spencer, Drummond Hawthornden and Gower and Ben Jonson, and Burns, and similarly agreeable company? But in truth the poetry of Kambar, Villiputturar, Pugalendi and other Tamil poets is much nearer modern colloquial Tamil than modern colloquial English is to these venerated poets of the English race. The truth is that the "Imperial" Englishmen of today is mad after the ascendency of his language as he is mad after the ascendency of his race. It is this madness and fever – born within the last 15 or 20 years – that brings all sorts of topics, including the abolition of the South Indian Vernaculars, within the limitless purview of the aggressive advocate of "the white man's burden." But let Indians know that they too have their "burdens" and responsibilities and discharge them to the best of their lights and energies. THE HINDU, 10th April 1902. A clarion call to protect Mother Tamil in the 20th century.An amazing document preserved for us.Thank you blogger!